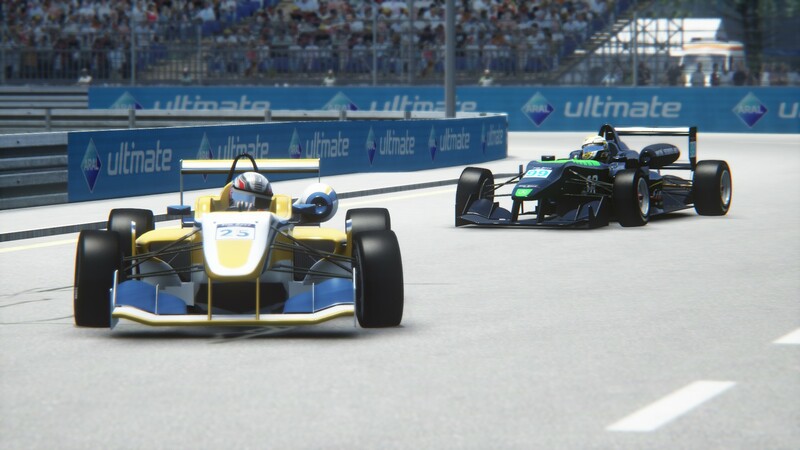 H-J eSports’ Gerrit Crafford broke AGBSs SA simF3 100% pole position and race victory run by placing his #99 Dallara on pole position to later win Race 1 at the Norisring. AGBSs Gabriel Rossouw held off Crafford to win Race 2. RC Fanatix vs M2 Racing in Race 1. Amrish Seunarain leads Osman Vallee, Siraz Dada and Chad Cook. 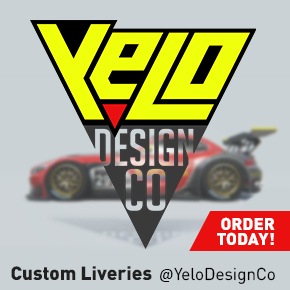 The opening stages of Race 1 saw Rossouw out-brake H-J eSports’ Jason Holden-Jones into the tight Turn 1, Rossouw used the exit of the final corner to great affect to position himself for a move at the end of the main straight. 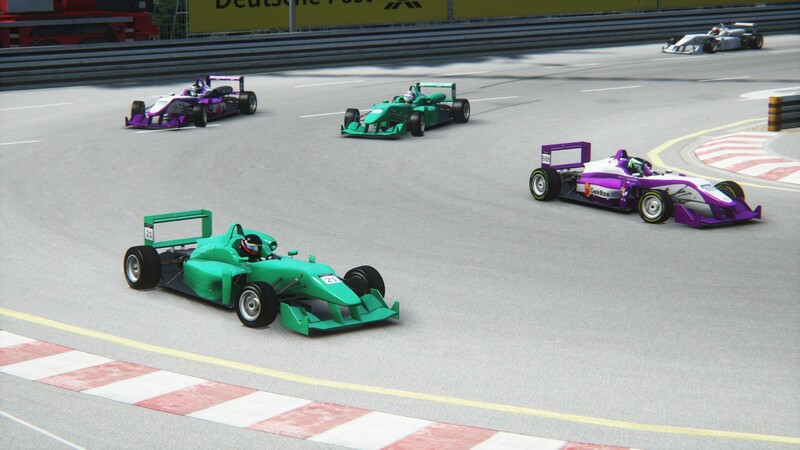 A good fight was seen between the two RC Fanatix drivers, Shiraz Dada and Osman Vallee, and the M2 Racing drivers, Amrish Seunarain and Chad Cook. The four drivers swopped positions on multiple occasions to see Vallee win the battle ultimately for fifth position overall. Crafford controlled the race to win by four seconds ahead of Rossouw, Holden-Jones, and AGBSs Gert James. Pieter Grobler, on debut, completed the top six. 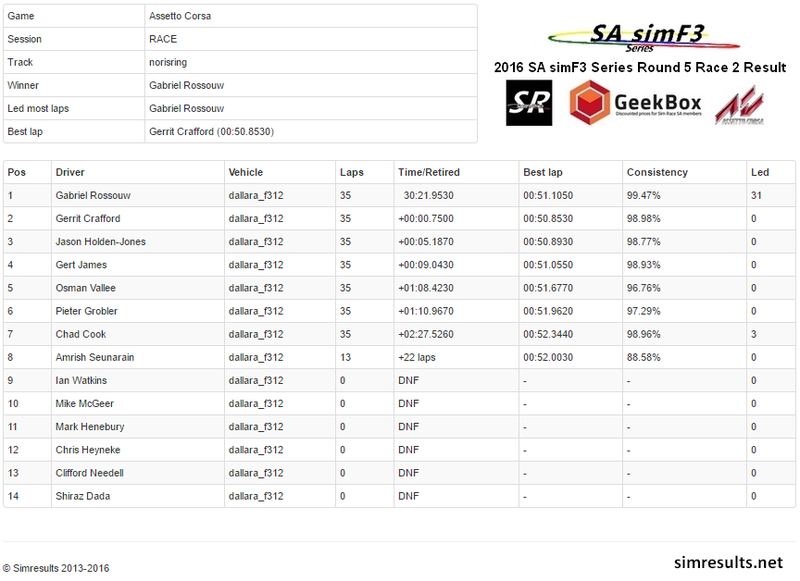 AGBSs Gabriel Rossouw narrowly leads H-J eSports’ Jason Holden-Jones and Gerrit Crafford in Race 2.
had a half spin, this allowed James briefly into third position until he collided with Crafford while defending from a recovering Holden-Jones. The incident re-shuffled the top 4 into the order in which they had started, albeit this time Rossouw enjoying an extended. The two H-J eSports drivers started to catch Rossouw, Crafford kept very close to Holden-Jones suggesting that he was the quicker of two. Holden-Jones eventually left Crafford passed with just five laps remaining. Rossouw beat Crafford to the line by just 0.75 of a second. Holden-Jones completed the podium ahead of James, Vallee, Grobler and Cook. 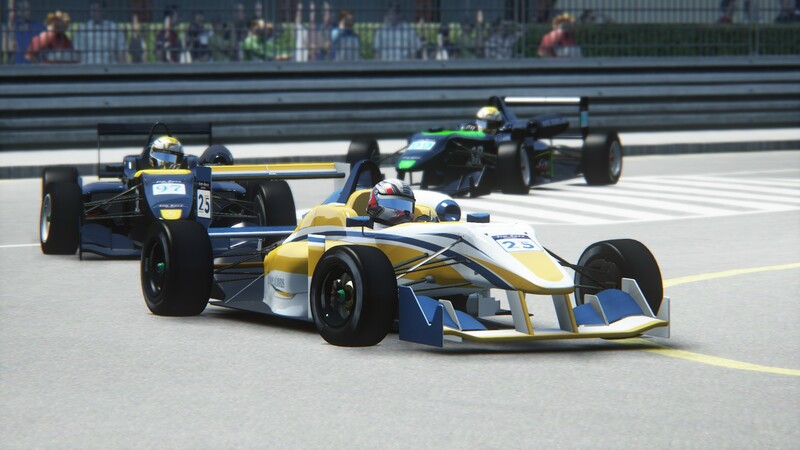 In the F3-AM class, Crafford claimed both victories, Grobler and Seunarain completed the podium. 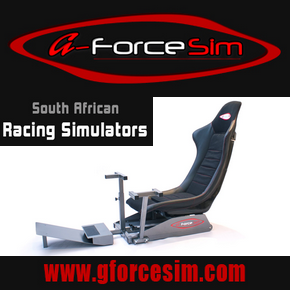 Rossouw has extended his lead in the Drivers’ Championship to 12 points ahead of teammate James. AGBS lead the Teams’ Championship by 36 points ahead of H-J eSports.